Ask Yourself: What Must my Cleaner Do? With more and more people taking on domestic cleaning services from all over, it’s imperative that you assess and address what you want your cleaner to do to get the most out of your time with them. While other cleaning service providers may waiver responsibility on important cleaning tasks, you can be sure that Maid2Clean won’t. We provide the most important and useful cleaning tasks possible. Whether you want your ironing ironed, skirting boards cleaned, surfaces polished, floors mopped, bathroom cleaned, ceilings dusted or even internal glass cleaned: We’ve got it sorted. It’s important to first check your house to find out the most important jobs to you. For example: If you struggle with back pain then you may want our cleaners to undertake cleaning duties that are low to the ground, like dusting the bottom shelf of your bookcase. Once you’ve picked out the most important duties let your cleaner know and they will happily oblige. Don’t worry though, you can change your list of duties at any time if, for instance, you suddenly have a large pile of ironing building up or your kitchen floor is besieged with mud. Duties you may think should be part of the standard cleaning service are not always honoured by many cleaning service providers. Some providers won’t dust ceilings or iron clothes. Others charge extra for these services. Maid2Clean are different to the rest: We include everything above in the total hourly rate, meaning no nasty hidden costs can come out and bite. If you would like to see the range of services and duties we offer please view our cleaning services page or, if you would like to know more, feel free to contact us and we’ll get straight back to you. How time flies… Christmas and new year have only just passed and we’re ¼ way through the year meaning it’s time to spring clean! Many people have got in touch to ask if we offer a spring cleaning service and, to their delight, we do! Depending on the size of your home and location we can provide a one off deep clean at very competitive hourly rates. Perfect if your house needs a good sprucing up. We tackle your dusting, sweeping, glass cleaning, ironing and more housekeeping duties than you can shake a feather duster at. And this is all part of the basic rate! With just a one-off agency fee and a low-cost hourly cleaner rate you can have peace of mind that it won’t cost you the earth. In fact, many of our clients have been so pleased with the service they received from the one-off clean they took out a regular, weekly clean with us, so their homes never get into a messy state again. You can see all the services we provide, and a more detailed explanation, on our cleaning services page. Maid2Clean (Suffolk) franchisee Sue Hall has just been made Network leader for a new Wire (Women in Rural Enterprise) branch opening in Ipswich in November www.wireuk.org . As a result of this appointment, she has also been selected as one of the WiRE delegates to attend the Rural Action Day in Bishops Stortford on Friday 8 October. Present at this event will be Mark Prisk MP, Minister for Business and Enterprise. Also present will be Stuart Burgess CBE, Commission for Rural Communities, Chairman of the Countryside Agency and the Government’s Rural Advocate. Living in a large city such as Manchester can be an advantage for anyone who has to commute to another area or into the city for their place of work, with comprehensive rail, road and air travel available. However, daily commuting is time consuming and exhausting, leaving you with very little energy for tasks at home such as cleaning or laundry. One available option is to hire a cleaner who can come into your home daily, weekly or just for a spring clean. You will be able to have your cleaning done for you, enabling you to do minimal tidying before putting your feet up. There are several home cleaning services in Manchester offering to do ironing as well as keep your home spick and span. Before hiring a cleaner, it is perfectly acceptable to interview them yourself to ensure that you are going to get on well. You should also discuss any special requirements for cleaning such as the products used or the frequency of cleaning appliances. Make sure the company you select has insured their cleaners as well as carrying out security checks as you will be trusting the cleaner to be in your home while you are working. Here at Maid2Clean, we personally interview prospective cleaners in their own home as well as obtaining proof of ID and references. You will interview your cleaner prior to working for you, to ensure your satisfaction with your home cleaner insouth Cheshire, for example. Finding a home cleaner in Croydon, for example, could save you a large amount of time and make it possible for you to spend your free time relaxing rather than cleaning. For many people with a busy lifestyle, housework is very often the last item on the agenda which results in household chores piling up or a last minute dash trying to sort through chaos. When a person has a full schedule with very little spare time, it is often crucial that their home is clutter free and organised as this helps to maintain peace and calm. Working in a city such as Manchester may also involve commuting which is extremely tiring. Employing a cleaner may be a solution to the household chores. Finding a reputable company is essential as the cleaner may need to hold keys to your property, which is why you should look for a company that carries out stringent security checks on each cleaner. Here at Maid2Clean we have a team of domestic cleaners in Manchester who are thoroughly vetted and happy for you to carry out an interview in your own home. Employing a cleaning company can ensure you have a clean home which is comfortable to return to after a long and stressful day, leaving you free to relax or entertain friends. If your household budget is a high priority, finding a home cleaner in York or Manchester, amongst many cities we work within, at a great price is important for you. The cost and the standard of cleaning should be looked at closely when choosing a cleaner. Many people choose to employ a cleaner from a larger company who will undertake all the security checks, so that you can interview your prospective cleaner without having to worry. 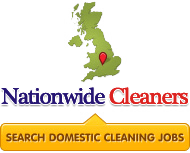 We offer house cleaning services in Croydon, north west Kent, and other UK locations. Keeping hardwood floors in excellent condition is critical when ensuring that you maintain the value of the flooring as well as the natural beauty of the wood. Hardwood can be easily scratched and damaged which create a dull surface appearance so it is essential to keep grit and dirt off the floor. You can keep on top of this with a regular vacuuming regime once a week or giving the floor a weekly sweep. You need to tackle any spillages as and when they happen. If you leave liquid on the hardwood it will start to seep into the seams and joints of the wood and can lead to permanent damage. Once you clean up a spillage make sure you remove and moisture with a dry cloth. Keeping tiles easy is relatively easy. Keep them vacuumed or brushed on a weekly basis, and then mop over using a mild floor detergent and hot water. In times when they are very soiled, repeat the mopping several times until clean. Knowing how to clean your own property can be a difficult undertaking, yet there are people who can help. We provide full home cleaning services in Altrincham, as well as other locations around the country. Our home cleaning services are carried out by the best cleaners available, and you can be sure that when you use our home cleaning services your home will be in good hands. Home cleaning services from Maid2Clean UK can rejuvenate your home. Get all your cleaning equipment together, as this will make sure you can really get stuck into the task. You’ll need a general kitchen cleaner, some cleaning clothes, scrubbers and sponges, paper towels, an oven cleaner, rubber gloves, a dustpan and brush, mop and bucket, floor cleaner and a vacuum cleaner. While the dishes soak, use the time to clear and wipe the counter tops. Also, return items to the cupboards, fridge and pantry. Throw any rubbish away. If you have a dishwasher, put those items that can be safely washed in the appliance and start it up. Leave any heavily soiled dishes to be washed by hand. If you don’t have a dishwasher, enlist the help of family to wash, rinse and dry. If you don’t have time to tackle big kitchen jobs, you may want to consider using home cleaning services. We offer house cleaning services in various localities, including Northwich, Kent and other areas. At Maid2Clean we offer professional house cleaning services in Crewe and Altrincham to Croydon and Stoke on Trent. Some people may feel strange about hiring a service to clean their home, but house cleaning services can make a real difference, and make it look better than it may have done in years. Everyone hates cleaning ovens and the roasting pan can sometime get neglected. Burnt-on food can be a devil to get off so simply pour in some boiling water add some biological powder and leave to simmer for around 10 minutes. The grease will then come off with minimum effort. Stainless steel counters and surfaces can look stunning when clean but often they get covered in greasy marks. A micro fibre cloth can remove them quickly so that they shine once more. We’ve all done it; You overheat a favourite curry and it explodes in the microwave. The microwave is now encrusted with a curry mess that seems to be welded onto every surface. However you can quickly get rid of the debris by putting a small dish of lemon slices and hot water into the microwave and turning it on for 5 minutes. The steam created will soften the food stains and the lemon will leave a lovely citrus fragrance. If you simply don’t have time to keep on top of these chores then domestic cleaning services in Manchester can help you to keep a clean home. At Maid 2 Clean we have home cleaning services available through the Manchester area. Even though they are invisible to the eye as they scuttle to and fro, dust mites are all around our homes. They can have a negative impact on your health and contribute to the level of dust on surfaces. This undesirable housemate must be kept under control by regular cleaning. Dust mites are found in every home, and these tiny creatures live off the human skin cells that we all shed. In return, they excrete waste continually and it is these excretions that cause health problems. As a dust mite loves average levels of moisture and humidity, they will happily set up base in a family home on areas such as mattresses, bedding, furniture, soft toys and any soft furnishings that come into contact with your skin on an ongoing basis. They can cause asthma and other breathing problems, as the excretion irritates air passages leading to respiratory problems. As bedding, mattresses and pillows are some of the best breeding grounds for the dust mite, you can often experience these breathing difficulties at night and not in the day. To keep them at bay you need to vacuum regularly and change the vacuum cleaner bag often, especially if you have young children crawling round. You won’t be able to prevent dust mites but keeping on top of the cleaning helps. If you struggle to clean regularly and live near Southend or elsewhere in the UK, then we have home cleaning services in the Southend area that can help. At Maid2Clean, we have an expert team of domestic cleaners in Southend to ensure you keep the dust mites at bay. These general tips can be used to maintain all types of leather. Firstly, always position any leather furniture or accessories away from the sunlight. As leather can mould very easily, it needs to be cleaned on a regular basis. The best cloths for the job are soft, micro fibre cloths which can be used to clean, using a good quality leather cleaner. Choose a leather cleaner that will preserve the natural oils in the leather, as these lubricate the surface, and prevent cracking and discolouration. Avoid any cleaners that could remove these important oils, and never use cleaners that leave an oily residue, as this can cause the leather to become infected with bacteria. If possible, test your leather cleaner on a small patch that is not visible to the eye. If you have dirt spots on the leather sofa, for example, try cleaning the area using a cotton swab that has been dipped in some alcohol. At Maid2Clean, we have a professional team of domestic cleaners in Northumberland, who can help you with all your general and specialist cleaning.